What is a Morton’s Toe? For our purposes, and to make it as easy as possible for you to understand, “Morton’s Toe” will mean having either one or both of two abnormal, inherited conditions of the first metatarsal bone of the foot (see below). 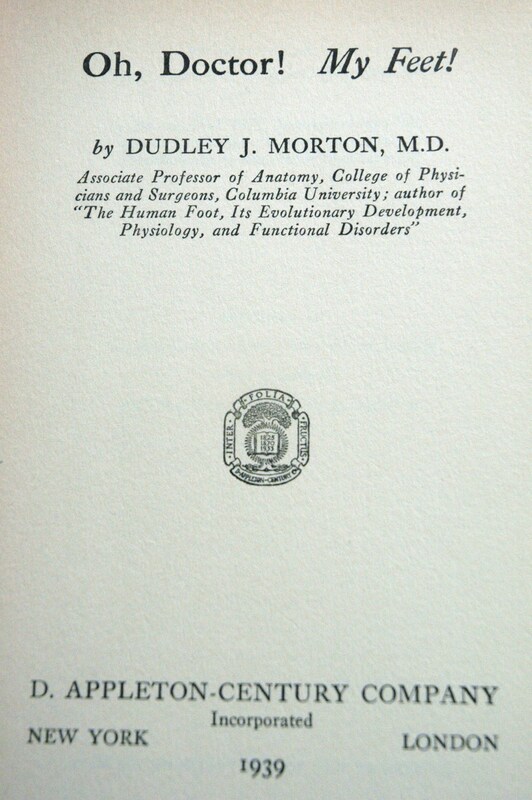 Morton’s Toe was first written about in the 1920s by Dr. Dudley Morton, Treating the Morton’s Toe is the foundation of foot care. Its importance in causing pain throughout the body and was taught for over 50 years by Dr. Janet Travell who was President Kennedy’s and Johnson’s White House physician. The first metatarsal bone is a finger-like bone to which the big toe attaches to. It extents about halfway down your foot toward your heel. There are five metatarsal bones one that attaches to each toe bone. They are inside your foot so you really cannot see them. The only way to truly see the metatarsal bones is with an x-ray of the foot. Morton’s Toe, can be caused by one or both of two problems that can affect the first metatarsal bone. 1. The first abnormal condition, and the most noted one, that can cause Morton’s Toe is where your first metatarsal bone is shorter than your second metatarsal bone. Do You Have a Short First Metatarsal Bone? Look down at your feet. Socks off please! If your second toe seems longer, (and I mean even just a hair longer) than your first toe, you may have a short first metatarsal bone. The photograph at the top of the page show a classic Morton’s Toe caused by a short first metatarsal bone. Note how the big toe is shorter than the second toe. Morton’s Toe is normally not this noticeable. 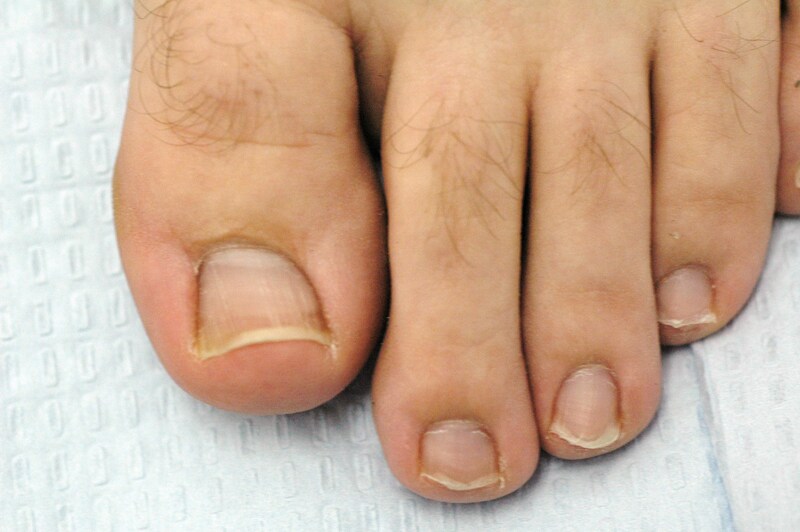 Most of the time in a Morton’s Toe the big toe will appear to be only a little shorter than the second toe or just about the same length as the second toe. Another way to check to see if you have a short first metatarsal bone is to hold your first and second toes down. Right behind the spot where the toes attach to the foot, you will see bumps pushing up from the top of your foot. These bumps are the heads of the first and second metatarsal bones. Using a pen, lipstick, or marker, draw a line where the bumps end (flat area) and meet the top of the foot. This spot is the very end of both of the heads of the first and second metatarsal bones. Look at both lines. If the line of the second metatarsal head is farther down your foot toward your toes than the first metatarsal head, even just a very little, then you probably have a short first metatarsal bone. Sometimes it is not necessary to draw a line on top of the foot because the relationship of the metatarsal heads can easily be seen. If this is the case, you can see without difficulty that the second metatarsal head is farther down the top of the foot than the first metatarsal head. Do You Have Hypermobility of the First Metatarsal Bone? In a 1928 paper in the Journal of Bone & Joint Surgery, and in Chapter 23 of his book The Human Foot, Dr. Dudley Morton, father of the Morton’s Toe writes about, hypermobility of the first metatarsal bone, the other problems associated with Morton’s Toe. Hypermobility of the First Metatarsal Bone may not be as famous as its “partner in pain,” the short first metatarsal bone, but in Morton’s own words “is responsible for the widest range of foot problems”. Hypermobility refers to the excessive motion present at the first metatarsal bone. In the normal foot, there would be very little motion at this area. But in a foot with hypermobility of the first metatarsal bone, there is an excessive amount of motion that takes place. According to Dr. Morton, the reason for the excessive motion is due to an abnormal laxity (looseness) of the plantar ligament that runs under the metatarsal bone. This laxity is either inherited or acquired in childhood. Because the ligament is abnormally loose, the first metatarsal bone is not as stable as it should be, resulting in many foot problems. Unlike the short first metatarsal bone, there is no simple reliable way that you can determine on your own if you have hypermobility of the first metatarsal bone. But because it is treated the same way as the short first metatarsal bone, with the The Toe Pad., it is not that important for you to know for sure if you have hypermobility or not. What counts is are you feeling any better once you start to treat yourself for your Morton’s Toe? Morton recognized that besides having either a short first metatarsal bone or hypermobility of that bone, there were many other actions, stresses, strains, and forces that affected the way your foot works and that can cause and contribute to foot problems. At no time or place did Dr. Morton ever state that having either of those conditions was a guarantee of having a foot problem or any other problem. In fact, the only thing he ever stated was that by having the short first metatarsal bone or the hypermobility of the first metatarsal bone may lead to having foot problems. In addition, it is very important that you need to be aware of it. Aches and Pains that a Morton’s Toe can cause of your feet and body. Morton’s Toe cannot only cause foot problems but as you will see, it can cause pains all over your body. The most common foot care problem causes by a Morton’s Toe is due to excessive pressure under the second metatarsal head cause by the short first metatarsal bone. This pain, pressure or burring is commonly called metatarsalgia. But with time this ongoing abnormal pressure caused by a Morton’s Toe can lead to a callous being formed under the second metatarsal head. For several years, many of the patients I was treating for their foot problems due to Morton’s Toe were repeatedly telling me how much better they were feeling in other places on their bodies. They were happy because their feet were not only getting better, but also their backs, thighs, knees, legs and hips were also feeling better following my treatments. Many told me they were also sleeping better because of fewer leg cramps during the night. Some even told me their fibromyalgia was hurting less. I knew there was something special going on, but it did not immediately sink in. It was not until about the time I finished my certification to become a Diplomat of the American Academy of Pain Management that I realized what my patients had been trying to tell me for years; a Morton’s Toe could also cause chronic pain almost anywhere in the body! I also finally “got it” because of the book published around that time by Drs. Janet Travell and David Simon on Myofascial Pain Syndrome. That book showed that Morton’s Toe was one of the underlying causes of this extremely painful muscular condition that could cause pain all over. Let me make it simple. If you have either a short first metatarsal bone or the hypermobility of the first metatarsal bone, it can cause Myofascial Pain Syndrome, and can then cause many of the following aches, pains and conditions, not only of the feet, but also of the whole body. It is very possible that because you have a Morton’s Toe, you have been suffering for years with an undiagnosed Myofascial Pain Syndrome or Fibromyalgia. This could be the real underlying cause of the aches and pains, all over your body, that no one, no medicine, or no thing, has been able to help. 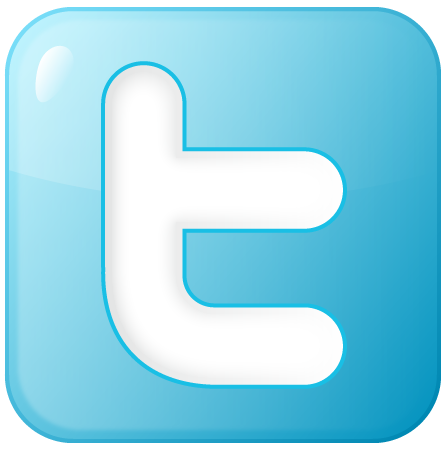 Millions of people suffer every day, with these torments and do not know why. I believe that in many cases Morton’s Toe is the explanation for this WHY, and the reason for aches and pains not only in their back, knee, and hip but also in a lot other places in their body. Pronation is the single most important term used in any discussion of how the foot works. The most common reason for people to have foot problems is due to an abnormal amount of Pronation. Morton’s Toe will cause you to have abnormal or over pronation. It is this pronation that is the ultimate cause or contributing factor to most of the problems not only of your foot but also of your whole body. Pronation is a series of movements our foot must make in order for us to walk properly. But, it is not that simply. Normal Pronation is a series of motions the foot must have, so that it can absorb the shock of meeting the ground. It must be able to do this, in order to adapt and adjust to the new walking surfaces it has just met. This adjustment should only last a fraction of a second to allow the foot to slow down; absorb the shock of your body weight I in order to adjust and adapt to the walking surface. At this point in time normal pronation is taking place and the foot is referred to as a “bag of bones” due to its ability to adapt to the new walking or running surfaces. Part of this process of becoming a “bag of bones” is that the arch will start to flatten out and roll toward the ground. . Normal pronation should only last no longer than a moment for the foot to adjust. If this adjustments last longer then the foot will begin to abnormally pronate and to correct itself This is the start of a “chain reaction” that puts the foot under a lot of abnormal stress and strain, causing Bunions, Heel Spurs, Plantar Fasciitis, Corns, Callouses, Ingrown Toenail, and numerous other foot problems If you think you have fallen arches, flat feet or weak ankles it is most probably because your feet are over pronating. Over or Abnormal Pronation: As I stated above, this occurs when the foot is still pronating when it shouldn’t be. Once the foot has adapted to the ground the foot should stop pronating and should be starting to stabilizing itself or locking itself. This locking is called Supination* and is the opposite of Pronation. Supination must take place so the foot can become a “Rigid Lever*” (opposite of “bag of bones”) in order for it to support our body when we push off from the ground; and propel us forward for our next step. In Supination the arch of the foot goes up (instead of down as in Pronation) so that it can become the Ridge Lever. But, if you are Over Pronating and you still are a “Bag of Bones and not the Rigid Leverwhen pushing off from the ground, then your foot and body will attempt to stop the over pronation by compensation. This compensation puts the bones, muscles, tendons, ligaments, and other structures under a tremendous amount of abnormal stress and strain not only of the foot but of the whole body. It is this abnormal stress caused by the body attempting to compensate that is the start of most of our feet and body wide problems. We know that if you have a Short First Metatarsal Bone, and or Hypermobility of the First Metatarsal Bone, thanks to a Morton’s Toe you can have a lack of proper stabilization on the fore foot, at the critical moment when the foot must be a “ridge lever” in order for it to push off from the ground. This instability will force the foot to compensate in its attempt to become that “ridge lever”. It is this instability that that hinders proper weight bearing that starts the chain of events, thru compensation, that ends in you numerous aches and pains not only of your foot but also thru out your body. Pronation can also be made worst if you have one leg shorter than the other. Shortness and or hypermobility of the first metatarsal bone are a two-headed monster that decreases the ability of the first metatarsal to work properly. It causes over pronation when walking and results in putting greater stress and strain not only on the foot but also on the whole body. A Morton’s Toe will result in a lack of proper stabilization of the foot when it is needed. This instability is the major reason the foot will abnormally pronate and cause most of the problems that I write about. . Most people who inherit the tendency to have foot problems don’t have these problems until they reach middle age. That is when these inherited traits start to take their toll due to the day-in, day-out trauma that has built up over the years. In the first half of the twentieth century, the most famous doctor in the United States, regarding problems of the human foot, was Dudley J. Morton, M.D. During that, time such publications as Readers Digest, Time Magazine. The New York Times regularly quoted and cited him. He was repeatedly written about in dozens of newspapers around the country, His medical books and articles on the foot were the leading authorities of their time. Aside from being a renowned authority of the foot, Morton was also an orthopedic surgeon, anatomist, evolutionist, teacher, anthropologist, author, musician, painter and inventor. He was born on March 27, 1884 in Baltimore, Maryland, on his family’s farm. In 1907, Morton graduated from Hahemann Medical College in Pennsylvania. During World War I, he went to France and served as a surgeon with the famous American Ambulance of Paris. When he returned from the war, Dr. Morton became a research associate at the American Museum of Natural History in New York, where he served as an anatomist. While at the museum, he concerned himself with the evolutionary development of the human foot. This is where he started to establish his reputation. His numerous papers and studies in the early and mid-1920s revolved around his study of primates (monkeys). This laid the groundwork for his most important work pertaining to the human foot, which took place in the late 1920’s. 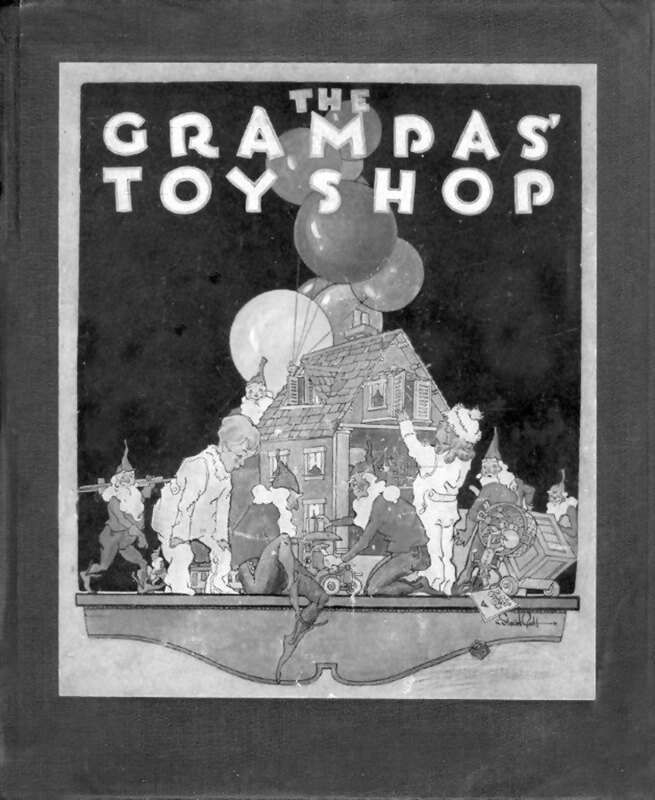 Besides his scientific publication, in 1924, he found the time to write and publish a delightful children’s book called “Grampa’s Toy Shop” This delightful, highly imaginary Christmas story shows how diverse and creative Dr. Morton truly was. 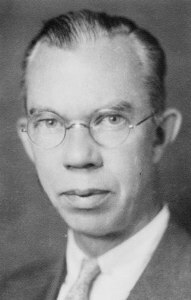 Between 1924 and 1928, Morton was on the faculty of the Yale University School of Medicine, where he was an assistant professor in the Department of Surgery. While at Yale, he published the two papers that would present, for the first time, what Morton’s Toe was. In 1927, he published a paper in the prestigious Journal of Bone and Joint Surgery titled “Metatarus Atavicu: The Identification of a Distinctive Type of Foot Disorder”. This scientific paper was the first time Morton presented his theory of the short first metatarsal bone and its harmful effects it could cause on the foot. 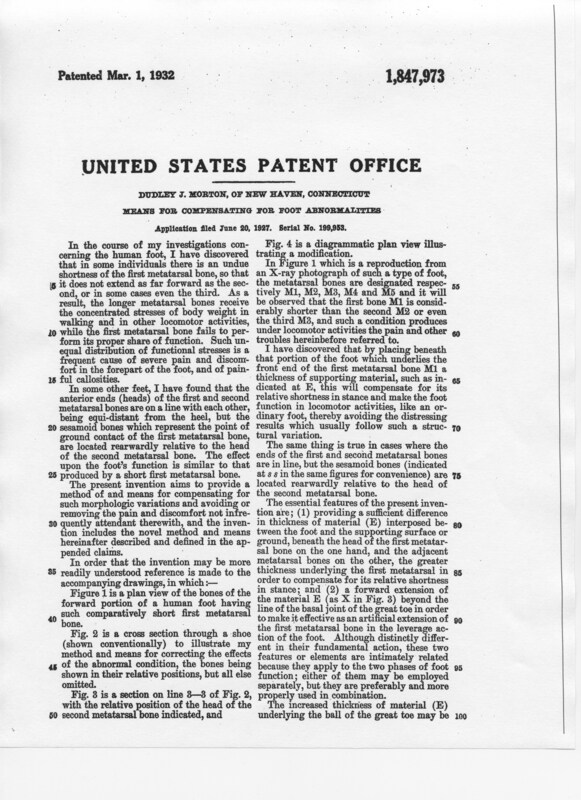 The following year, in 1928, Morton published another paper in the Journal of Bone and Joint Surgery. 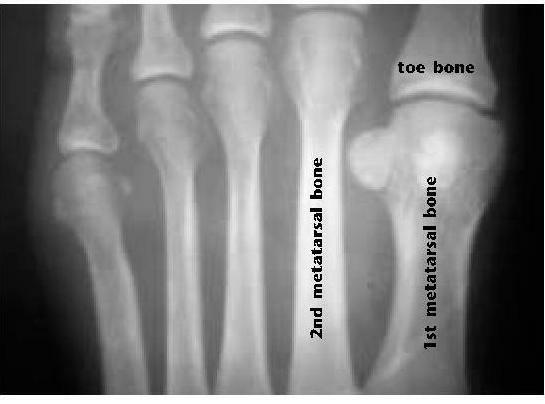 This paper described, for the first time, another condition of the first metatarsal bone known as “Hypermobility of the First Metatarsal Bone”. This condition, and the short first metatarsal bone, is one of the two problems, that for our purposes, we consider to be the Morton’s Toe. Dr. Morton never referred to these two problems as a Morton’s Toe. This is the term that was given to these problems over a period of years by the medical profession. If the 1920s was Morton’s decade of writing scientific articles, the 1930 through 1950s was his era of writing books both for the medical community and the general public. During those years, he wrote seven books. As before, these books were about evolution, anatomy and the human foot. “Laxity of the plantar ligaments of this segment affects both the longitudinal arch, by impairing the stability of the foot as a base of support, and the fore part of the foot, by causing an improper distribution of weight upon the metatarsal bones. 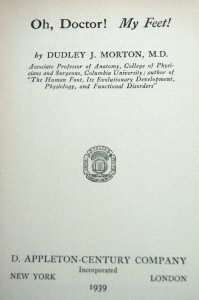 Cover page of Dr. Dudley Morton, 1939 book written for the general public called “Oh Doctor! My Feet! Morton went on to say that then, as now, millions of dollars are spent annually on corrective shoes or other devices that are of questionable benefit in healing the foot. As always, he stated the two principal reasons for foot problems are the short first metatarsal bone and or the hypermobility of the first metatarsal bone. He continued to explain how to treat these conditions by putting a pad or a platform under the first metatarsal bone in order to give the proper foot care. The book was also written about in the New Yorker Magazine and was reviewed in dozens of newspapers across the country, from the New York Times to the Oakland Tribune. 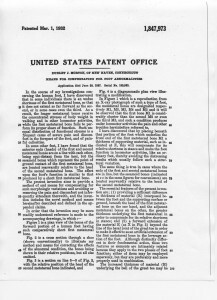 At about the same time, The American Medical Association also published an article for physicians that were written by Morton based on Oh Doctor, My Feet! 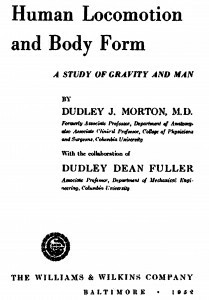 In 1952, with Dudley Dean Fuller, a Ph.D. in mechanical engineering and Dr. Morton wrote his last book called Human Locomotion and Body Form: A Study of Gravity and Man. The book reflected Dr. Morton’s thirty-plus years of work on evolution that supported his belief that the only way humans could eventually stand erect and walk was because of inheritance over millions of years. There were of course, chapters on the short first metatarsal bone and hypermobility of the first metatarsal bone. It was well received and was republished overseas by an English publishing house. In January 1942, Dr. Morton presented a paper at the Academy of Orthopedic Surgeons in Atlantic City. According to the New York Times, Morton made quite a sensation when he stated, “that 90% of arch supports that prop up thousands of feet ought to be thrown out the window”. And, that the term “weak arches” should disappear in any discussion about the feet. 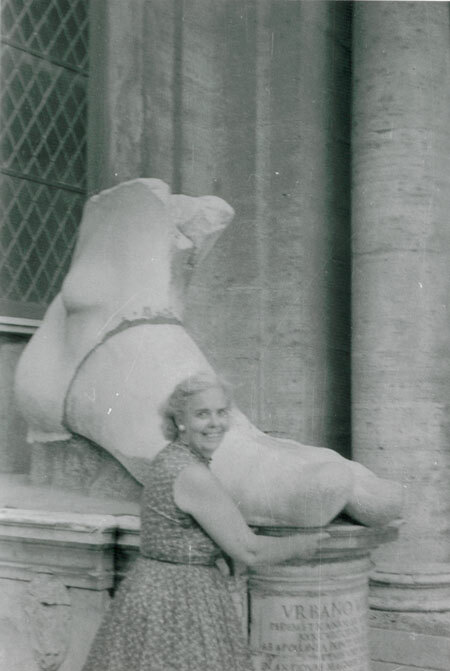 Morton went on to say that, other than high heels, shoes are not normally responsible for most foot problems. He also said that fallen arches are not the cause of most foot problems; but the real problem is due to poorly distributed weight across the five metatarsal bones (i.e. Morton’s Toe ) Time Magazine, in their January 26, 1942 issue, also reported about Morton’s at this meeting. From 1928 on, Morton was an associate professor of anatomy, at the College of Physicians and Surgeons, Columbia University in New York. He not only taught and did research at Columbia, he also was on staff at Columbia Presbertyrian Hospital, where he treated patients. He stayed at Columbia for sixteen years until he resigned on June 30, 1944. “Thus thanks largely to Dr. Morton’s pioneer work, one of the most common of foot defects need no longer cause widespread suffering”. Morton’s grandchildren Janice, Sandy and Chris, (who are now in their fifties and sixties,) have nothing but fond memories of their grandfather. At Thanksgiving, he insisted on carving the turkey at the family gathering. Like many men of his time, Dr. Morton was a chain smoker. His grandson, Chris, clearly recalls watching ball games on TV with his grandfather, as Dr. Morton lit one cigarette after another. Unfortunately, it was this chain smoking that finally led to his death from cancer in May 1960 at the age of seventy-six. Thru out history the long 2nd toe was referred as a “Roman Or Greece Foot”. Before Dr. Morton ever wrote about the long 2nd toe in the 1920’s it was written about for some time in various places. One of the most interesting of these publications is the U. S. National Park Service pamphlet about the Statute of Liberty. In it, the history of the Roman and Greek foot, and the Morton’s Toe is given in regard to the feet of the Statue of Liberty. Fredric Bartholdi the sculptor was influenced by his classical training and gave the Statue of Liberty the Roman/Greek Foot. Even the Statue of Liberty wants good foot care. for his device. After eighty years, its basic concept is still the best way of treating the problems of the foot and body associated with Morton’s Toe, but now it is much smaller and easier to make. This is how the Toe Pad should look under the first metatarsal bone. Notice how it goes up and down and how this patient’s 2nd toe is longer than the 1st toe. How the Toe Pad Works to Make You Feel Better. A Morton’s Toe can cause excessive strain on the second metatarsal bone or other parts of your body and foot. It is this strain that can be the real cause of why you can be hurting not only in your foot, but all over your body. The Toe Pad works by removing this strain, by acting as a platform on the bottom of the first metatarsal bone. This platform allows the first metatarsal bone to meet the ground properly and then forces it to bear weight normally. Once this happens, the abnormal strain that was improperly put on the second metatarsal bone starts to be removed and shifted back to the first metatarsal bone. It is this shifting of the abnormal strain off of the second metatarsal bone, back to the first metatarsal bone where it belongs, that will start to have you feeling better again. The Toe pad also acts as a platform in the treatment for hypermobility of the first metatarsal bone. But now its job is to remove the slack of the ligaments in and around the bottom of the first metatarsal bone, which is causing excess motion of the bone. By doing this, the toe pad stabilizes and also locks the first metatarsal bone in place. Once the bone is locked in place, it will help control all of the problems not only of the feet, but also throughout the body associated with hypermobility of the first metatarsal bone. The Toe Pad is a patented, proven medical treatment that has withstood the test of time. It is not a work in progress. It is not an arch support or a special shoe that costs hundreds of dollars and will not work. It is a simple pad or insole that can be made for about $2.00 -$3.00. In Why You Really Hurt: It All Starts In The Foot, we show you how to make the Toe Pad. A simple bunion is an abnormal bump of bone that is formed at the head of the first metatarsal bone. The bunion can either be on the top or side of the first metatarsal bone. In a more advanced bunion deformity, called Hallux Abducto Valgus, there starts to be a movement of the big toe toward the second toe. The most severe bunion is when the first toe not only moves toward the second toe, but it overlaps or under laps the second toe. If a simple bunion bump is formed, there is a good chance Mother Nature will step in and produce a shock absorber that will protect the bunion bump. This shock absorber is called a bursa. A bursa is a fluid-containing sac. With time and enough irritation, the sac (bursa) that is protecting the bunion can become swollen, inflamed, and sore. This problem is known as bursitis. Over the years, the one constant that I have seen with patients who have bunions is a short first metatarsal bone and/or hypermobility of the first metatarsal bone, (Morton’s Toe) due to inheritance. We know that Morton’s Toe, Long Second Toe. takes place at the first metatarsal bone, so it makes sense you will have a lot of abnormal stresses and strains at that area. Because of this, bunions can and do exist. But the reason for the bunions is due to pronation that is caused by the Morton’s Toe. Morton’s Toe and Pronation: The reason we get bunions. Hypermobilty at the first metatarsal bone is one of the two hallmarks of having a Morton’s Toe . It is this hypermobility that causes us to get bunions . This is what happens: In a hypermobile foot there is excess motion cause by pronation. This pronation causes the first metatarsal bone to be unstable and move upwardly , turn inwardly and move inwardly. As the pronation gets worst because of an untreated Morton’s Toe Long Second Toe, abnormal tension will be applied by the Adductor Hallicus muscle. This abnormal tension also causes the bunion to form by pulling the bunion joint abnormally apart. This stress can also cause arthritis to occur in the bunion joint itself. A lot has been written about how shoes are a major cause of bunions. I can agree with that, but only up to a point. Believe it or not, at one time or another there are some people who insist on wearing shoes that are incorrect for them. Do all of these people have bunions or other foot problems? Of course not. The ones who end up getting foot problems are the ones born with the poor combination of having a short metatarsal bone, and/or hypermobility of the first metatarsal bone. The truth is, though, if you insist on constantly wearing shoes that are not right for you, then there is a strong likelihood that you not only will get bunions, but most of the other problems in my book, regardless of how normal your feet are. In any case, if your bunions don’t hurt leave them alone. Many reasons have been given in the past for why our heels hurt. 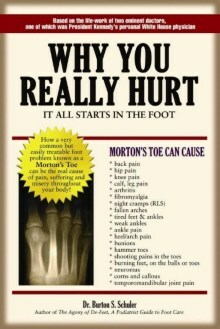 I absolutely feel that having a Morton’s Toe is one of these reasons. I base this statement on the thousands of foot/heel x-rays I have taken over thirty years as a foot doctor. I absolutely feel that this fact has been overlooked by most foot doctors. I invite them to verify the truth of my observation. If they did look for a Morton’s Toe, I feel they would find one present the vast majority of time their patients appeared with heel or arch pain. Inside the circle is a large spur. The reason heel problems arise in the presence of Morton’s Toe is fairly straightforward. It all goes back to abnormal pronation. If you have a Morton’s Toe the front part of the foot is unstable when it needs to be stable. Because of this, the foot will be forced to pronate. A pronating foot places abnormal stress on many areas of the foot, including the plantar fascia and the heel bone. It is this abnormal stress that is the start of all the heel problems noted above. Can You Say Postatic Dyskinesia? I can’t, and I have been trying for years. This tongue twister is a very common complaint that patients have when they first get out of bed, in the morning or, in the middles of the night. In the feet it is the pain of the heel or arch that appears when you first get up. This is not limited to the feet but can also cause pain in the back or neck when you first start to move around in the morning. It can also occur upon standing, after resting or sitting for a while, anytime during the day. Some patients state that they get this pain upon getting out of their car after driving for a while. Poststatic Dyskinesia in the feet is most commonly caused by a Plantar Fasciitis or a Heel Bursitis. I can determine how bad a heel condition is by asking the patient how long it takes the pain to go away after getting up. Normally it takes about 5-15 minutes for the heel pain to start to go away. If it takes longer than that then I know this patient has a very unpleasant heel problem. Another question I ask them is if they have to hold on to something just to get out of bed or to stand up? If they do, I know that I am dealing with a very bad case of heel or arch pain. You can have heel pain anytime during the day, but I feel the most common times are in the morning, with pain upon arising from bed or upon standing after resting for a while. It is not usual for these burning discomforts to start on the balls of the feet and then spread into the toes or up the legs. Many patients have these leg problems, and it disturbs their sleep. Dr. Morton said these “spasms” at night would occur if great enough strain was put upon the leg muscles caused by a Morton’s Toe, or the Long Second Toe and can be associated with Restless Leg Syndrome . Shooting Pains In the Toes. Shooting pains in the toes is most commonly caused by a neuroma which is caused by the Morton’s Toe. It can also be cause by nerve damage known as peripheral neuropathies But most people who come see me have a Morton’s Toe, and not nerve damage. Neuroma and The Morton’s Toe. “Life is like a bicycle, you don’t fall off until you stop pedaling”; and I’d rather rust out than wear [email protected] And pedal she did. 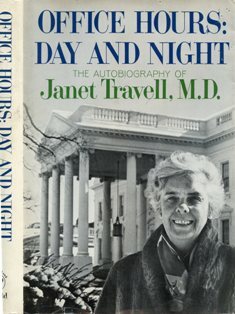 I regret to inform you that Dr. Janet Travell, only lived to be 95. 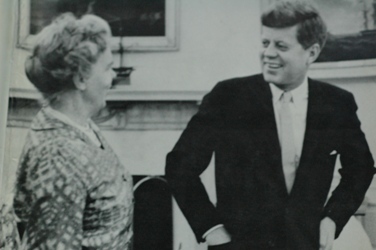 During her life she not only helped develop a totally new concept for why we hurt and how to treat it (Myofascial Syndrome Pain); but was also the personal physician to two sitting Presidents of the United States and their families. 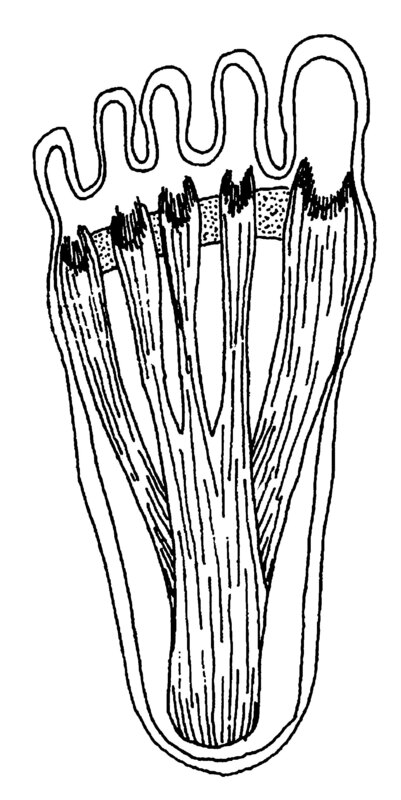 Dr. Travell felt that the Morton’s Toe, was a important cause of Myofascial Pain. 3. Constriction of muscles, due to tight stockings or a bag strap put over your shoulder for too long a time. Myofascial Pain Syndrome can also be caused by leg length discrepancies (one leg shorter than the other), vitamin deficiencies, slow metabolism, low blood sugar, depression, anxiety infections, and sleep disorders. In her biography, Office Hours Day and Night, Dr. Travell states how she was aware early in her career that when the second metatarsal bone was longer than the first metatarsal bone (Morton’s Toe), it could transmit abnormal mechanical stress to the muscles of the ankle, knee, and hip joints that could result in pain in these areas. · Gluteus Medius : this muscle can cause lower back pain (lumbago), pain at the back and side of the buttock, and into the upper thigh. · Gluteus Minimums Muscle: the pain from this muscle can extend from the buttock down the thigh, knee, leg, calf and ankle. Other doctors have suggested that sciatic pain can be caused by this muscle. · Vastus Medialis Muscle: trigger points from this muscle can cause a referred pain on the front of the knee, and the lower thigh. · Peroneus Longus Muscle : referred pain from this muscle causes pain on the outside of the ankle and area on the outside of the foot. · Posterior Tibial Muscle: the pains caused by this muscle start at the mid calf, go over the Achilles tendon, over the heel and can cover the entire bottom of the foot and toes. 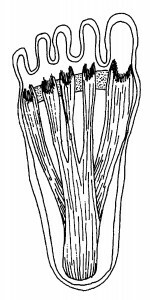 · Flexor Digitorum Longus Muscle: this causes pain mostly to the bottom of the middle of the fore foot. The bottom line is that pains of your back, thigh, knee, calf, leg, and (of course) your ankles and feet can be due to Myofascial Pain, which in turn can be caused by having a Morton’s Toe, or the “Dudley J. Morton’s Foot.” It can also cause Temporomandibular Joint Pain, or “TMJ,” which can make your teeth, jaw, cheek, eyes, eyebrows, and ears hurt. It can even cause headaches. 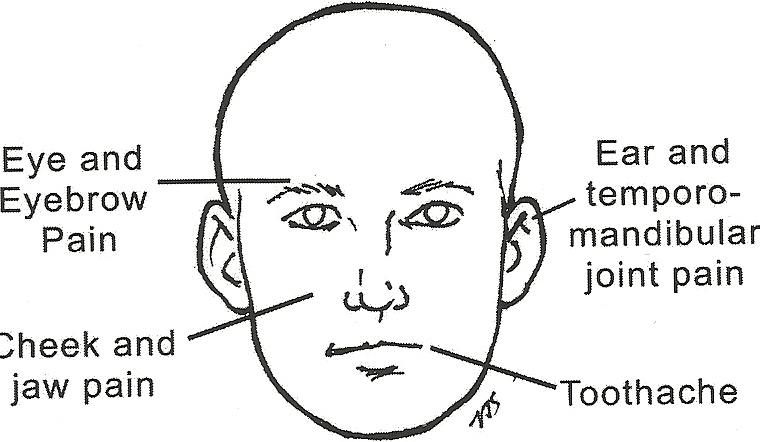 According to Dr. Travell, “TMJ” is a form of Myofascial Pain. 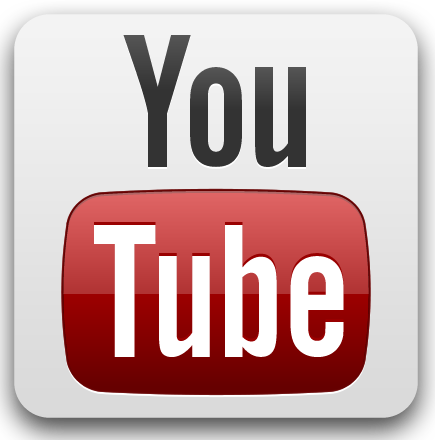 In 1990, Dr. Travell made a series of seven videotapes to educate health professionals about Myofascial Pain Syndrome. The tapes showed how to identify and treat those painful muscles throughout the body, most often affected by Myofascial Pain. Of the seven tapes, only one was dedicated to a single subject. 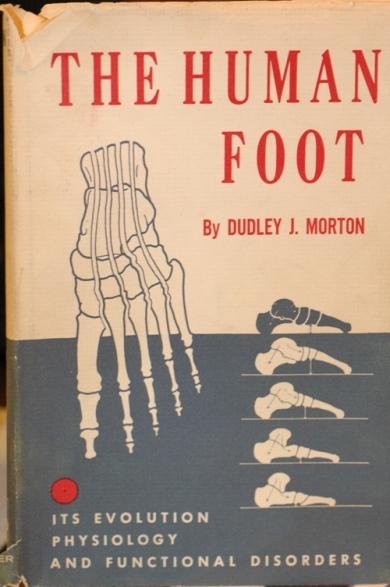 That tape was called “The Dudley J. Morton Foot “(Long Second Metatarsal). Its purpose was to educate her fellow physicians of the important role the Morton’s Toe can play in regards to causing pain throughout the whole body. Fibromyalgia is a chronic condition characterized by widespread pain in your muscles, ligaments and tendons, as well as fatigue and multiple tender points. 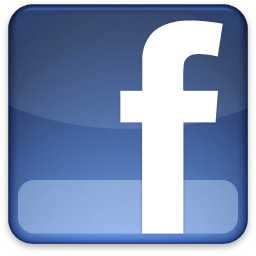 Some people refer to it as Chronic Fatigue or Chronic Fatigue Syndrome. Fibromyalgia is more common in women than in men. This is important because if you understand how a Morton’s Toe can cause Myofascial Pain Syndrome, then you can understand how a Morton’s Toe can also cause or be part of the cause of why you may get fibromyalgia. Abnormalities of the autonomic (sympathetic) nervous system. Changes in muscle metabolism. For example, deconditioning and decreased blood flow to muscles may contribute to decreased strength and fatigue. Myofascial Pain Syndrome, and Fibromyalgia are very similar to one another. Both of them are painful problems that affect the muscles of the body and can make your life miserable. This is important because if you understand how a Morton’s Toe can cause Myofascial Pain Syndrome, then you can understand how a Morton’s Toe can also cause or be part of the cause of why you may get fibromyalgia. 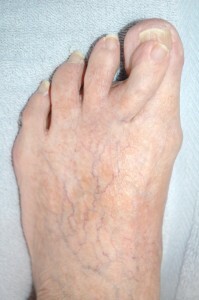 Many sufferers of fibromyalgia do have a Morton’s Toe. Like those with Myofascial Pain Syndrome, some of these women with “Fibro” can get better by applying a toe pad to their first metatarsal bone. I understand and have great empathy for those who suffer everyday with Fiborimalgia but please understand that the Toe Pad was not intended to cure Fibromyalgia. All it is doing is that it might stop those 11 out of 18 trigger points from acting up. If it doesn’t work for you I am truly sorry, but don’t say the toe pad doesn’t work, because it does. But just like everything in this world it does not work on everyone. I am just offering some good simple, inexpensive forgotten medicine based on the work of two very important notable physician (for god sake Dr. Travell was the physician to two President!!) that may help. It is not a pill or a gadget or a special device to make you new. It is just a simple pad behind your big toe. There is no promise made by me. All I am doing is attempting to help those of you who suffer everyday from pain. I write more about Dr. Travell, Myofascial Pain Syndrome, and Fibromyalgia in Why You Really Hurt: It All Starts In The Foot. There are different types of chronic back pain, including lower back pain and upper back pain. A Morton’s Toe can cause lower back pain by causing Pronation or Myofascial Pain. Most modern doctors have no idea that a Morton’s Toe can cause back problems so you may have to point this out to them, especially if you have been suffering with your back problem for some time. The good news is lower back pain can be relieved by treating the Morton’s Toe that could be causing the back pain to start with. Hip pain or pain in the hip joint is a form of arthritis that can be caused by the Morton’s Toe . It is regularly overlooked as a cause of hip pain in and around the hip joint. Over a period of years, a Morton’s Toe can cause many abnormal strains to the hip joint that can result in many painful problems. This wear and tear inside the joint causes a breakdown of the joint cartilage to occur. These problems normally do not appear until mid-life, about fifty years old or later. 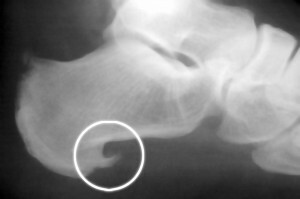 Besides the classical changes of the bone within the hip joint itself, Morton’s Toe can also cause other forms of arthritis, called non-articulating arthritis. These inflammatory conditions affect the soft tissue as opposed to the bones, such as a bursitis of the hip. Another way that Morton’s Toe causes hip pain is by irritating the muscles around the hip area. It is well established that Morton’s Toe can be underlying cause for a painful muscle condition known as Myofascial Pain Syndrome. In this condition, any muscle in the body, including the ones around the hip, can be aggravated and become very painful. Many times, patients with hip pain are having Myofascial Pain and not arthritis. Regardless, both arthritis and Myofascial Pain can both be caused by Morton’s Toe. The good news most of these problems can be treated easily with a simple toe pad discussed in the book. Knee pain is another form of arthritis that is often caused by a Morton’s Toe . In fact, it is among the most overlooked reasons for why one gets pain in and around the knee joint. Over a period of years, due to pronation, a Morton’s Toe can cause many abnormal strains to the knee joint, resulting in many painful problems. This wear and tear inside the joint causes a breakdown of the joint cartilage to occur. Besides the classical changes of the bone within the knee joint itself, Morton’s Toe can also cause other forms of arthritis. These types of arthritis are called non-articulating arthritis and are inflammatory conditions. They affect the soft tissue as opposed to the bones, such as a bursitis of the knee. Another way that Morton’s Toe causes knee pain is by irritating the muscles around the knee. It is well established that Morton’s Toe can be an underlying cause for a painful muscle condition known as Myofascial Pain Syndrome. In this condition, any muscle in the body, including the ones around the knee, can be aggravated and become very painful. According to Dr. Janet Travell, the Gluteus Minimus and the Vastus Medialis muscles are responsible for this problem around the knee. Regardless, both arthritis and Myofascial Pain can be caused by Morton’s Toe. The good news most of these problems, including knee pain relief, can be treated easily with the toe pad. I ask all of my new patients if they have any problems sleeping because of any discomfort of their legs. Many of them tell me that they are, in fact, experiencing nightly leg cramps that disturb their sleep. Some also tell me that they are being treated for Restless Legs Syndrome (RLS). Night leg cramps are abnormal contractions of the leg muscles. Some people call them Charlie Horse . They normally can awaken the patient from a deep sleep. The exact cause of night cramps, leg cramps or Restless Leg Syndrome is not known; however, everything from poor circulation, dehydration, muscle overexertion, imbalance of electrolytes, to drug reactions, has been proposed. Some of the more popular treatments for night cramps have been stretching of the leg muscles, hot packs, cold packs, and massage. For years, quinine was a very popular drug for the treatment of night cramps. But in December 2006, the U.S. Government took it off the market because of its serious side effects. Can a Morton’s Toe Cause Night Cramps? Dr. Dudley Morton, did think so, and so do I. In his 1935 book, The Human Foot, he discusses how the hypermobility of the first metatarsal bone can cause spasms and strains in the leg muscles that can then cause disturbances in sleep. If your feet are overworked because of problems at the first metatarsal bone, you can have tired feet, fallen arches, and weak ankles, and because of that, it is not a big leap to see how your leg muscles could also become strained and exhausted and cause night cramps in the legs . I regularly treat patients who did have problems sleeping because of night cramps and who told me that their cramps got better when I treated their Morton’s Toe. This is different from the patients who also tell me they are just sleeping better because their feet are now hurting less . Most doctors will not consider the Morton’s Toe as the cause of leg pains or Muscle Cramps. Instead they will look first for one of the more classical reasons, such as blood clots, dehydration, injuries to the leg, arthritis or peripheral vascular disease. But, as with all problems associated with Morton’s Toe, the treatment for these leg problems is a simple pad for your foot. According to the National Institutes of Health, Restless Legs Syndrome (RLS)is a neurological disorder characterized by unpleasant sensations in the legs and an uncontrollable urge to move them for relief. Individuals affected with the disorder describe the sensations as burning, creeping, tugging, or like insects crawling inside the legs. 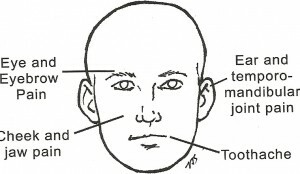 The sensations range in severity from uncomfortable to irritating to painful. There is no known cause for this condition, but it does run in families in up to half of the people with RLS. I am not saying that Morton’s Toe is a cause of RLS. There is no evidence to support this, but please allow me the opportunity to tell you what is on my mind concerning RLS and Morton’s Toe and the possibility there may be some connection. Could it be possible that some of the problems that we see in night cramps, (see above) caused by Morton’s Toe, such as exhaustion or strain of the leg muscles, could also be contributing to the causes of RLS? My answer to this question is “I don’t know.” What I do know is that the majority of the patients, who come to me with pre-diagnosed (by another physician) RLS, do have a short first metatarsal bone and/or hypermobility of the first metatarsal bone. When I treat the problem(s) at the first metatarsal bone, many of these patients’ tell me their RLS does improve. Up to now, I have not been aware of anyone, at anytime, questioning the possible relationship between Morton’s Toe and Restless Legs Syndrome. Nevertheless, I do believe it is worth asking in the light of the great benefits that could be gained by determining if there is correlation between these two problems. According to the RLS Foundation, about 9 million people in this country have RLS. Statistically, if only one tenth of one percent of these people got some relief from RLS by treating their Morton’s Toes, 9,000 people could be sleeping better soon. If you do suffer with either night cramps or RLS, you may want to start using the toe pad or shoe insert that I describe above It may take weeks to see a change, but you having nothing to lose and everything to gain. Again, common sense dictates that in any group of people who have night cramps or RLS, some of them are going to have Morton’s Toe and all the problems that come with it as well. The problems associated with their Morton’s Toes just have to be aggravating some of their sleeping problems. You could be one of them, and you will never know if my suggested treatment for your toes will help you until you try. Regardless, advise your physician that you are trying this because he needs to know if your problems get better or not. Stranger things have happened. Ankle pain can stem from numerous causes. is one of them. Morton’s Toe cause abnormal pronation of the foot to take place. Because of this pronation, excess stress can be put on the ankle joint. Read this page for more information If you control this pronation by treating the Morton’s Toe with a Toe Pad, you have an excellent chance of decreasing the ankle pain. As crazy as it sounds Dr. Travell wrote about this. In Vol. 1 of their book Myofascial Pain and Dysfunction: the Trigger Point Manual, Doctors Travell and Simons stated that because of Morton’s Toe, sometimes the muscles of the lower leg can work against the head and neck muscles, resulting in restrictions of the movement of the head and neck muscles. 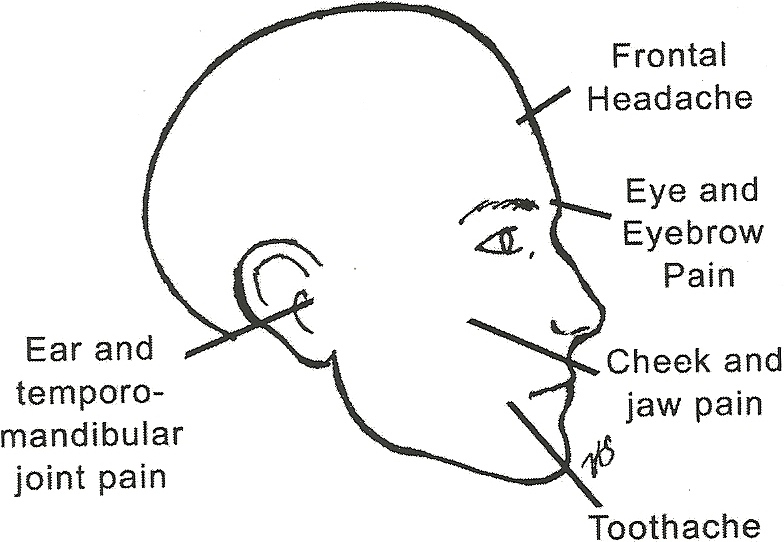 It is this problem that can cause Temporomandibular Joint Pain. Treating the Morton’s Toe can decrease this problem by as much as 30 percent. 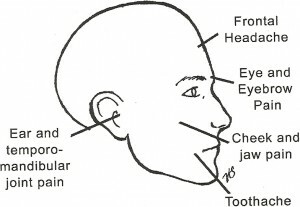 Once the affected Trigger Points are inactivated, the jaw muscles can relax, with the end result that there is a marked increase in these muscles opening at once. Along the way, your teeth can stop hurting because the muscle spasms causing your pain are gone. The purpose of this section is to explain how a Morton’s Toe specifically affects those patients with Diabetsis. As I written for many years , diabetics’ are often misdiagnosed with having a serious complication known as Peripheral Neuropathies of the feet when in reality they have nothing more than a simple foot problem known as the Morton’s Toe Both of these problems can cause burning on the toes and the balls of the feet. The average physician is not aware of what a Morton’s Toe is, and if a diabetic patient tells him, or her that their feet hurt or burn they will often assume this burning is due to diabetic neuropathies. This is very troublesome to me because it is very important for the patient to get the proper treatment. If you truly have peripheral neuropathies because of Diabetsis than you should be taking specific medications to treat it. The only thing worst than not taking this proper medications, is taking it when it is not needed, and not treating the Morton’s Toe problem when it needs to be treated. The other problem associated with Morton’s Toe and diabetics is in regard to the development of ulcer. The reason your feet hurt when you wear high heels is that your heel bone is never meeting the ground. Because of this, there is pressure on the balls of your feet 100 percent of the time. This is not good foot care Over a period of time, this is bad enough for normal feet, but if you are a woman who has the classic, short first metatarsal bone, Morton’s Toe your foot problems have just multiplied in high heels. Not only are the balls of your feet are under constant pressure 100 percent of the time in high heels, but that constant pressure is being carried mostly by the second metatarsal bone. Because the weight is never shifted back to the heel at least half of the time (as it needs to be) the second metatarsal bone is carrying 100 percent of the pressure, 100 percent of the time. This is a disaster waiting to happen in regards to your feet. One of the most popular activities of our time is jogging and/or running. The problem with this activity is that even with normal feet, you will sooner or later tend to have feet, shin, leg, or knee problems. From my experience, if you run over thirty miles a week, there is a good chance that even with good feet, unless you are very lucky, you will have some problems. Hopefully if you are running thirty miles a week or more, you are smart enough to go see your local podiatrist and have a pair of orthotics made for you to PREVENT these problems from occurring. For any serious runner, orthotics are the key to having many years of pain-free running. I have treated world-class runners, triathletes and some who run in the Boston Marathon. Prevention is everything. Now, let’s talk about those joggers/runners who don’t have a normal foot, or in fact have a Morton’s Toe. Our bodies were not designed to take the abuse that can be caused by a Morton’s Toe when you are a runner or jogger. If you think you may have some foot problem, don’t wait to start using the Toe Pad or Shoe Insert I write about in Why You Really Hurt: It All Starts In The Foot. By doing so, you may delay such problems as shin splints, Anterior Compartment Syndrome, Overuse Syndrome, Chondromalacia (Runner’s Knee) and other problems caused by the constant abuse and pounding on the body brought on by running. Running is not the only activity that can aggravate a bad foot. Golfing, tennis, ballroom dancing, bowling, softball, and basketball are some of the many pastimes that bring patients into my office. If you are involved any of these activities, or similar activities that may potentially damage your feet, it is important that you see a podiatrist and become proactive regarding your feet. Until then, try the toe pad to see if it may help you. It is very easy to make and wear, so what have you got to lose? Try it! Why You Really Hurt: It All Starts in the Foot, tells the story of two these famous physicians and their association with the common, but painful, medical condition known as the Morton’s Toe. Millions of people suffer everyday with chronic aches and pains from head to toe and don’t know why. Many of them have lost all hope, and believe they will have to live with these pains for the rest of their lives. The book is significant because for the first time in seventy years the public is made aware of the importance of the Morton’s Toe, and the fact that could be the real unidentified reason (the “medical missing link”) for their unending torments. This book will also show how Morton’s Toe can also cause fibromyalgia, arthritis, sleep disturbances (RLS), temporomandibular joint pain, and numerous other problems through out the body The good news is that all of these problems can be treated with a simple pad that costs about two to three dollars. The bad news is that in spite of the fact that two of the most famous doctors of the twentieth century were behind the Morton’s Toe, most modern day physicians are not aware of Morton’s Toe or of it ability of causing pain all over the body. This book took six years to research and write, but Dr. Schuler feels it was worth it because it should be able to help many people get out of pain. The book is disturbed national by the Cardinal Publishing Group. As of 2013 there are over 7,000 copies in print, and thousand sold on Kindle. 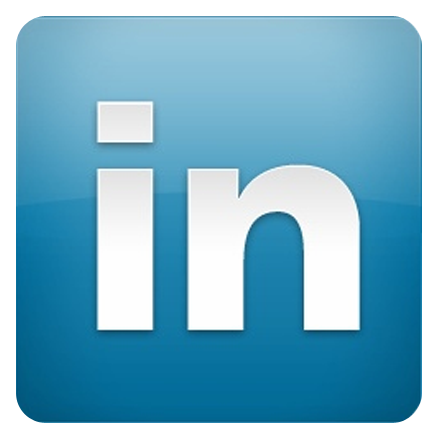 Copyright © 1982 - 2019 | Dr. Burton S. Schuler | Foot Care | Podiatrist | Panama City, FL. | Website design by CYber SYtes, Inc.